Here is how vision and food can help the world, help our health and our business as well. Vision is seeing the future, accepting the reality, ridding ourselves of past mindsets and acting positively on the new horizons we see. Take the example of food. The previous mindset is “we have enough…too much in fact”…mountains of stored butter, cheese, wheat and corn… lakes of milk and oceans of wine in excess. Governments pay farmers not to grow food. Now it’s all gone. The world does not have enough food! This is perhaps the second largest crisis that mankind must face! “In a year when global harvests need to be excellent to ease the threat of pervasive food shortages, evidence is mounting that they will be average at best. Some farmers are starting to fear disaster. In short, growing hunger has met global climactic change and food comes up short. 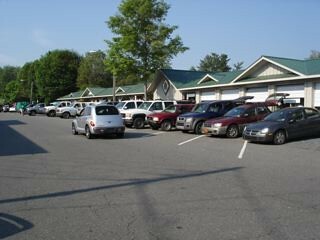 This is the first part of vision. Seeing the problem and accepting. One way to help the food crisis is to eat less. This helps the world. This also helps our health. Messages at this site have looked at this fact numerous times, but a recent article published by American Academy of Anti Aging entitled “Are there any shortcuts to a long life?” The article reconfirms this. “Well, some people like Meredith Averill, 61, and her husband, Paul McGlothin, 60, believe they may have the answers and they’re putting themselves to the test in their quest for longevity. “The couple have been practicing calorie restriction for the last 14 years. Calorie restriction is the only proven way to extend life in animals and, now, studies are getting started in humans. “Averill and McGlothin are the subjects of one such study. As calorie restrictors, they eat only specific amounts of foods that are high in nutrition but low in calories — foods like vegetables, fruits and beans. “At almost every meal, they weigh their food and keep detailed records in their laptop of the nutrition and calories they are consuming. Averill eats about 1,500 calories and McGlothin about 1,900 — that’s about 30 percent less than what the average American eats. “Averill and McGlothin claim the benefits of calorie restriction are astounding. They share their healthy diet and lifestyle tips as co-authors of a new book, “The CR Way” (Harper Collins). “My heart and blood vessels are like a person many decades younger,” Averill said. “The body’s ‘feeding clock’ may over-ride our natural sleep cycles. Adjusting meal times can help travellers recover from jet lag, a study suggests. “Harvard University researchers believe the brain has a second ‘feeding clock’ which keeps track of meal-times, rather than daytime, after studying mice. “When food is scarce, the feeding clock overrides the master clock, keeping animals awake until they find food. “Thus, shift workers and travellers can keep tiredness at bay by not eating”, they suggest in the journal Science. “A period of fasting with no food at all for about 16 hours is enough to engage this new clock. Good…a new vision…”not enough food”…and a new solution that helps the world and our health…”simply eat less”. Merri and I eat a really light dinner….sometimes just boiled milk with cardamom or organic hot chocolate. This really helps us sleep well and feel light and fresh in the morn. Now how can this help us prosper? Shift towards what we see coming. 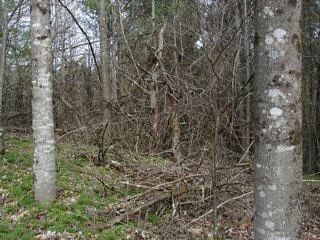 Previous messages have shown how Merri and I are converting part of our woodland to areas that can grow food. 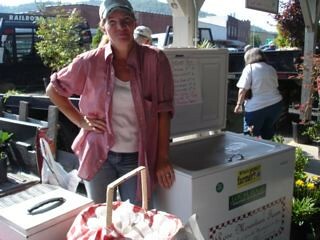 We see our friends in the Blue Ridge area also doing this early every Saturday morning when we go to the West Jefferson Farmers’ Market. 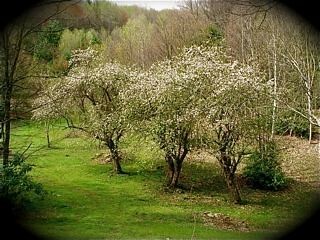 A growing number of friends are becoming small time farmers that enjoy great margins selling organic, hand produced food. 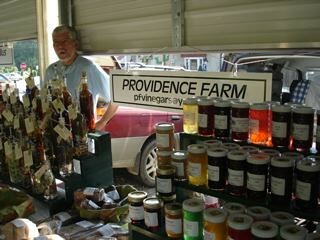 Our friend, Steve, created Providence Farm and grows and sells greens on 11 acres of what used to be woods. 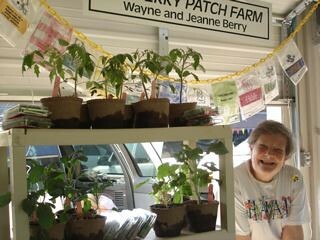 Jeanne on the other hand does seedlings, tomatoes, spaghetti and other squashes and greens at her Berry Patch Farm. This is a huge growing arena…better…more nutritious less refined food, where you know the grower, requires less to make you full. Plus it’s sold locally…taking less energy to get the food from the field to your mouth. That’s the vision. Folks making a living being closer, friendlier…more efficient as we can be healthier…eating less of better and as we reduce the world’s need for food. More supply…of a better product…and less demand. That’s vision and that’s food for thought and opportunity. Until next message, may you always have vision and food.